By Melissa Lennig on March 6, 2013 8 Comments. This content contains affiliate links. As an Amazon Associate I earn from qualifying purchases. This past Christmas, I made my children personal felt boards. Felt boards are wonderful for illustrating simple stories or songs, and are especially helpful when introducing an upcoming holiday or event, such as Easter! My kids were very engaged by the Felt Easter Egg Activity pictured below. 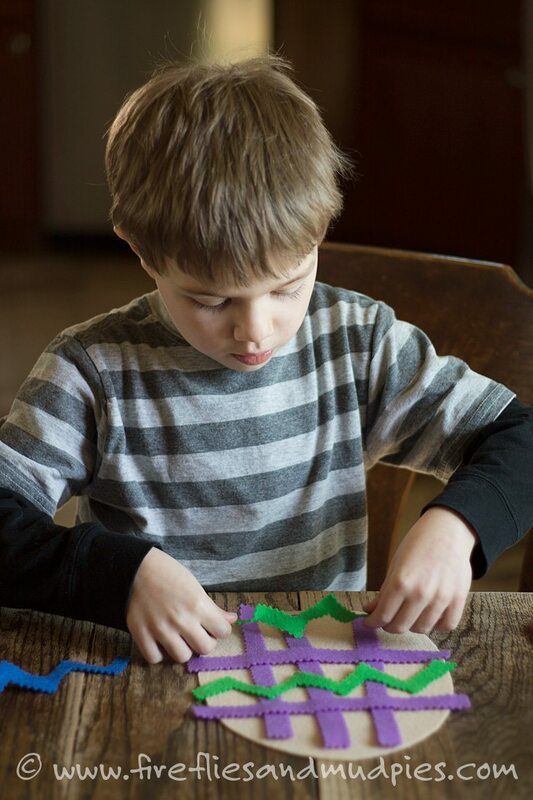 It’s easy to create and enhances creativity, fine-motor skills, and color recognition. In memory of our Buff Orpington Chickens, I used neutral tan felt for the eggs. Doesn’t it make the colors pop? I couldn’t believe how focused and quiet my boys were during this activity. I put on some relaxing piano music and let them quietly play at the kitchen table while I made dinner—it was a wonderful evening! 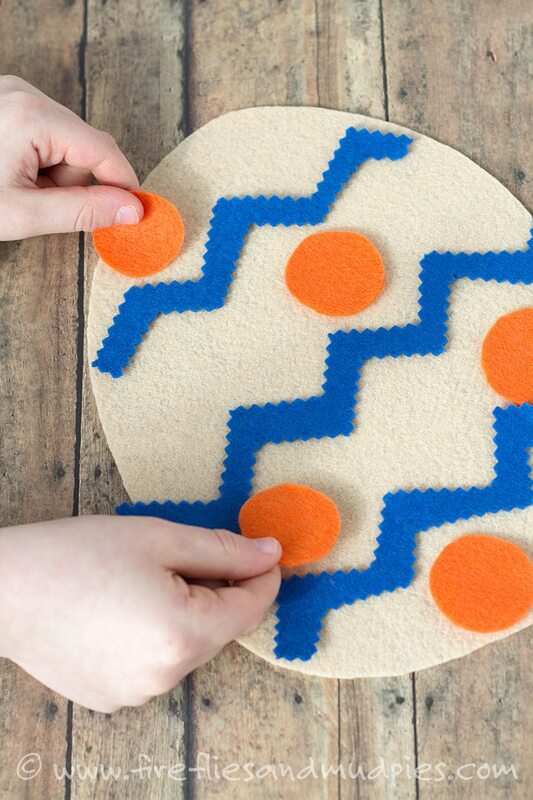 Cut out eggs, various shapes, stripes, and wavy lines from the felt scraps. Invite your child to decorate his Easter egg over and over again! That’s it—easy, simple, and fun!